 At BWB you'll enjoy true variety in your work, bespoke career development and the ability to take ownership. Come and work with great people and help shape our business for the future. We'd like to hear about the valuable experience you've been gaining and how it can make a difference to BWB. You'll need to be tenacious, resourceful, take ownership and be pragmatic in order to excel within our business. Our professional assessment route is designed to test your technical and professional skills relevant to your profession and to explore examples of your performance against our nine key competencies, presented below. Communication & InfluencingUses clear communication and influencing skills to improve the lives of our people and our Clients. Personal EffectivenessUses own and others time effectively, ensuring that plans and activities consider the impact to self and others, analyses best use of resource. Strategic Business AwarenessHaving business, commercial & financial awareness that allows us to differentiate ourselves from competitors; improve our effectiveness as a business and achieve higher overall profitability. Developing Self and OthersManages, leads and develops themselves and others to success. Able to motivate others and acts as a positive role model. Respect, Integrity, Ethical ManagementValuing the contribution and diversity of all people and teams. Works fairly in collaboration with others to maintain and uphold company standards. Decision Making and Account-abilityIdentifies problems and takes ownership for seeking solutions. Takes ownership for own actions and the impact these have on others. Innovation and GrowthLooking outwards and onwards, taking responsibility for looking for continuous improvement and new opportunities to ensure BWB is Fit for the Future. Change and AdaptabilityAble to change and continuously improve in order to reach BWB objectives, ability to maintain personal effectivenesswithin a changing business.